Well folks, it's the moment we've all been waiting for. Facebook announced its big news today -- the stuff we've all been sitting at the edge of our seats for, the release we've been pontificating about (read what some of our ideas ... and your own were ... about Facebook's big reveal)! So ... what the heck is it? Well, we were right! Kind of. It's a new search engine called Graph Search! As Facebook puts it, the new search engine, which is currently in beta (though with a waitlist for which you should sign up), "takes us back to our roots and allows people to use the graph to make new connections." 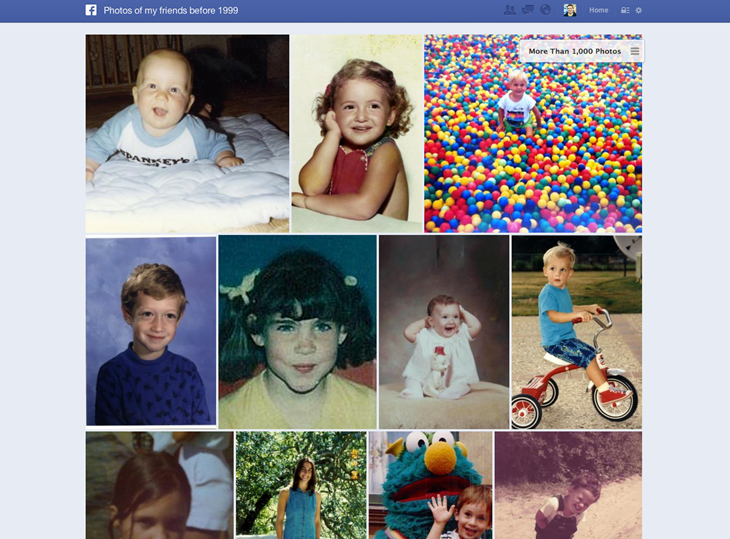 We're going to break down what you need to know about Facebook's Graph Search right now. If you're a regular Facebook user, you're probably familiar with a pretty paltry search function. You type in your friend Matthew's name, and what do you get? Marcus; Matthias; Marjorie; Matthew's Painting & Supplies in Akron, Ohio; Matt; Matt; and finally, there he is, your buddy Matthew. Facebook has set out to fix what has been a pretty painful experience for users (and businesses trying to get found on Facebook) with this new search function. Now, this is something all businesses with a search function on their websites struggle with. For instance, on our very own blog, we pull in Google to help users search for articles. I mean, why build your own search algorithm when you can simply use Google to help people find content? But that's where Facebook's new search function is different. Facebook isn't incorporating Google's search function into Facebook search. Instead, Facebook has decided to launch Graph Search to help improve the Facebook search experience. In fact, Graph Search is powered by Microsoft Bing -- which makes sense, since Bing has also integrated Facebook into its own social search function, according to VentureBeat. What Is Facebook's New Graph Search? "It's an attempt to do what Google failed at doing -- pulling all the information that matters to you within the context of your social life, skipping the results that are popular to the internet, in favor of the results that are popular within a group you actually give a damn about. Not a horde of strangers." In other words, Facebook search will utilize social signals to try to create a truly social search experience. For anyone who stays up to date on social media and search engine news, this might sound remarkably similar to what Google tried to do with the invention of Google+, and its eventual incorporation of Google+ updates into the SERPs. Their goal was to deliver better, more relevant, more personalized results for a user's search query based on who they were connected with on their Google+ network. The problem is, there wasn't, and still isn't, widespread 1) adoption, and 2) usage of Google+. But you know the social network a lot of people do use, and frequently? Yup. Facebook. Graph Search, according to Facebook, is focusing on four core areas: people, photos, places, and interests. So to lend some more clarity to this whole Facebook Graph Search thing, here are a few examples of how it might work that might interest marketers, plus an image of the new search function (again, currently still in beta, so don't be shocked if you don't see it when you log in to Facebook -- you need to go here to get on the waitlist for it). Let's say you're looking for a great coffee house. Instead of going to Google and searching for coffee houses near you -- which will return the coffee houses that have done the best job at SEO -- you could use Facebook search and get recommendations based on what your Facebook friends like the most. It will use signals like location-based check-ins, tags of that coffee house, or Likes of that Facebook Page to indicate it is a good choice. Facebook is also frequently used to share and surface content. If you're looking for, say, photos of your friends, the search engine will allow you to type in extremely specific long-tail queries like "Photos of my friends at Bar Around the Corner in 2011." You could expand this concept to all types of shared content such as articles, music, videos, memes, and the like (now I got marketers' minds spinning, eh?). Facebook's search engine will also help users expand their social reach. Because the search function takes into account a user's likes, history, location, and proclivities, we weren't that far off when we predicted their announcement might be a new dating service. Users will be able to search for people they want to simply talk to and network with, by inputting a search like "People who like marketing and work at HubSpot." This is the kind of functionality that will help users on a personal and professional level. Facebook is largely used as a private social network -- as in, unless you opt to be totally public with your information, what you share about yourself and your interests isn't being indexed in search. As such, the subject matters people discuss aren't going to be totally comprehensive of the subject matters people need to conduct searches around. For instance, can you really find quality information about, say, your embarrassing medical problems on Facebook? Only if it's something you and your friends openly and frequently discuss ... I mean, we all have those "TMI friends," am I right? But this "problem" will likely be exacerbated considering the fact that Facebook, rightly so, is prompting all users to review all of their information before the public launch of Graph Search -- just to make sure there's nothing about yourself being used in Facebook's search engine that you want to keep private. And honestly? For a lot of people, that might mean hiding everything, despite the fact that this information will only be searchable by your friends you elect it to be available to, and not the web at large. Should Marketers Care About Facebook's Search Engine? Social media helps give your business visibility. This new search function is helping to not only make it easier for people to find your business and its content via Facebook, but it's also making it easier for it to reach new audiences! If you're creating the best content in the world, and maintaining an amazing Facebook business page that markets that content, it's far more likely now (or when Facebook launches Graph Search) than it was before that new audiences are going to be able to stumble upon it during their point of need. And as we learn more about Graph Search, we'll be sure to update you on any new features or use cases. Are you excited about Facebook's Graph Search? Do you think it's a good advancement for marketers?